If you are not using a Silpat or parchment lined baking sheet, spray baking sheet with non-stick spray. Combine flour, sugar and baking powder in the bowl of an electric mixer. Add shortening. Beat on low speed until shortening is completely blended. Then add milk, tofu and lemon extract. Mix until just blended. Roll into 1" balls. Place on baking sheet about 1" apart. These do spread a bit so be sure they are not too close together. Bake for 10-12 minutes or until lightly browned. Cool completely on a wire rack. To prepare the frosting, beat the powdered sugar, shortening and warmed almond milk with the lemon extract on low speed until blended. Use more of the almond milk if necessary, a little at a time, until you reach the desired consistency. 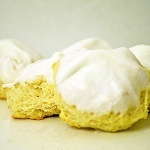 Dip the tops of cookies into the frosting and let excess drip off before turning upright. Allow to set on the baking rack before storing. Loosely cover cookies to store. 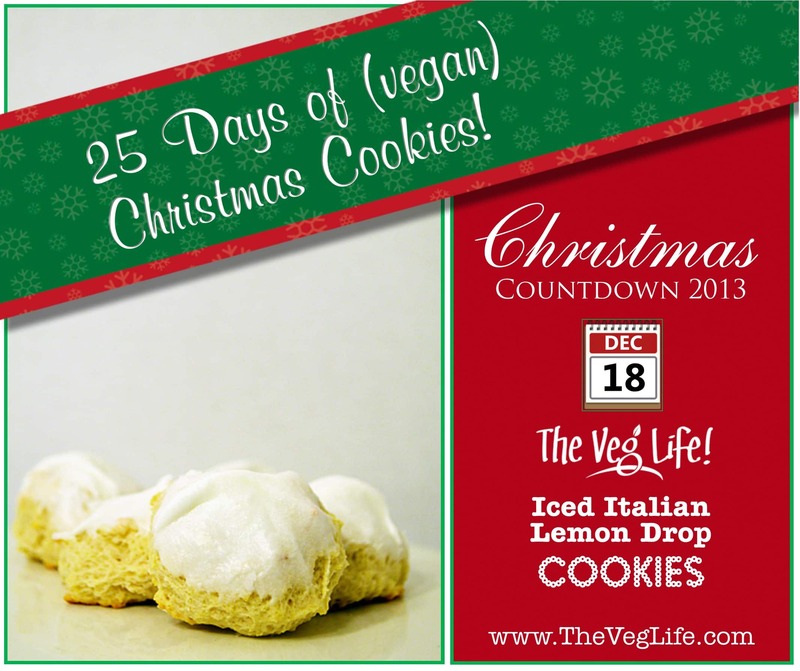 For the Iced Italian Lemon Cookies, is an ingredient really 4 C vegetable shortening? Seems like a lot.